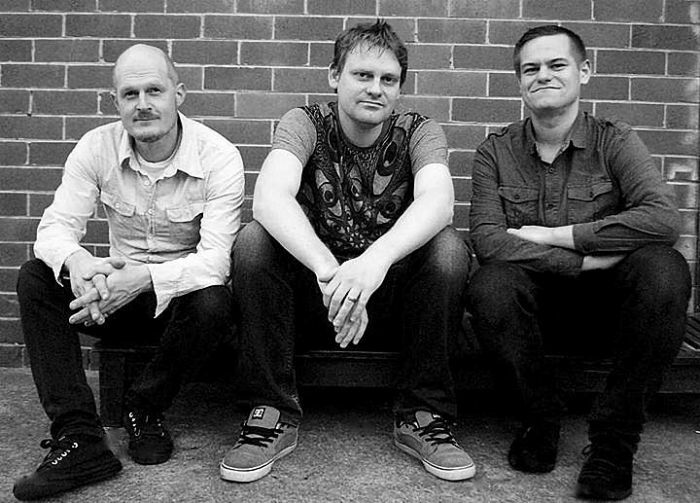 Triplex are a Sydney-based jazz rock group consisting of the understated and cliché-free guitar of Michael Coggins, the syncopated high-energy beats of Tim Bradley on drums and the modern bass guitar sounds of Andrew Morris. Notorious for their highly original compositions influenced by a kaleidoscope of musical styles, Triplex have created an original take on the jazz rock idiom which has been distilled through the improvisational and compositional styles of each member of the group. At Johnson Street Jazz, the group played a selection from their recordings. “Hanoi Blues” was strongly influenced by a Vietnam boat trip, and the resonant guitar strumming and steady drumbeat evoke contrasting images of Hanoi lakes and crowded uptown alleyways. “Chrysalis”, from their first album, is an African inspired tune in which frolicking snare drums accompanied by deft guitar strokes keep up the beat. In the effervescent “Midnight Train to Tokyo” we are taken on a rollicking ride through a vibrant nightlife, and by contrast Andrew Morris’s “Christopher” brings to mind soft far-off places. We leave on a high, and with more than we came with.